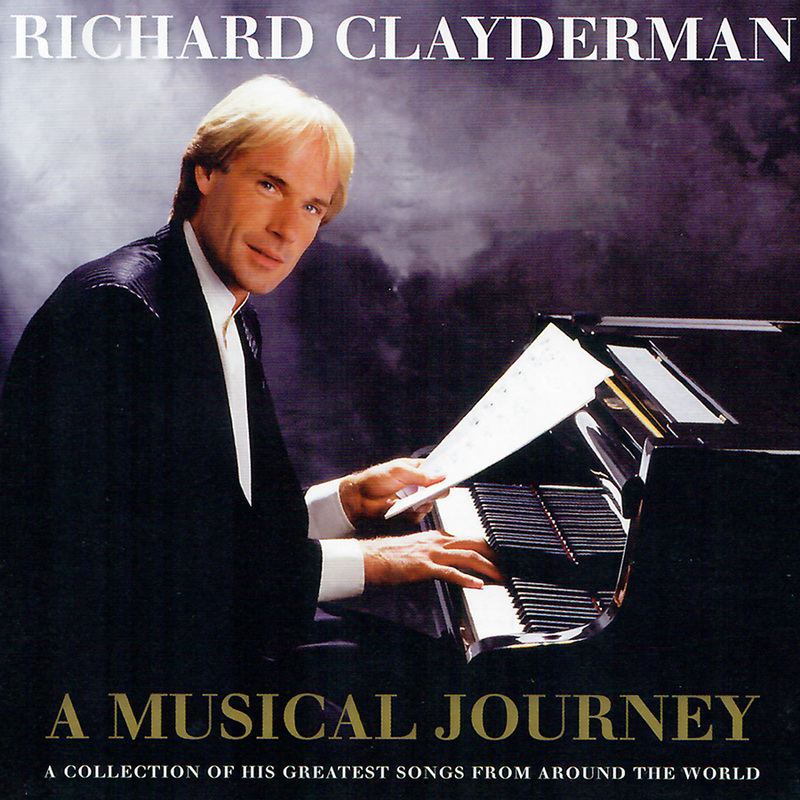 ‘A Musical Journey’, a new collection of Richard Clayderman classics, was released at the latter end of 2016. The 2 CD collection, released by Sony Records, under the FANFARE label, features 38 tracks from the last 40 years including smash hit love songs, original music by Paul de Senneville and Olivier Toussaint, classical titles as well as some rarer tracks from Richard’s repertoire of more than 1,300 titles. The collection includes music of The Beatles, ABBA, Andrew Lloyd Webber, Ennio Morricone, James Horner and Robbie Williams and is available as either a physical CD or download. Featured tracks include Richard Clayderman’s tribute to the blockbuster film ‘Titanic’, with a 9 minute sypmphony arranged by Hervé Roy, and an 11 minute Beatles Medley incorporating 4 of the groups most successful songs: ‘Yesterday’, ‘Hey Jude’, ‘Get Back’ and ‘Long And Winding Road’. Other notable chart songs include ‘Eloise’, ‘Don’t Cry For Me Argentina’, Angels’ and ABBA’s ‘Super Trouper’. Many of Richard Clayderman fans most enjoy his trademark original titles and no less that 14 are included on the album. ‘Eléana’, ‘Nostalgy’, ‘Pour Tout L’Amour Du Monde’, Comme Il’s Sont Loin Les Souvenirs’ as well as ‘Leo’ from the album ‘Zodiacal Symphony’ feature, not to mention Richard’s very first recording ‘Ballade Pour Adeline’. Click Here for the ‘A Musical Journey’ album page.